land use policy and governance. A team of international experts across the fields of real estate, planning, geography, economics and architecture reflect the increasingly interdisciplinary nature of real estate studies, providing the book with a depth and breadth of original research. 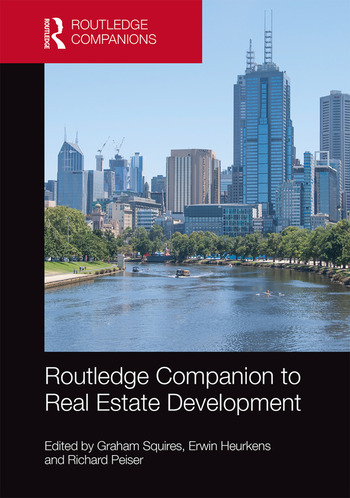 Following on from the success of the textbook International Approaches to Real Estate Development, the Routledge Companion to Real Estate Development provides the up-to-date research needed for a full and sophisticated understanding of the subject. It will be an invaluable resource to students, researchers and professionals wishing to study real estate development on an international scale. Trends in Land Use and Government Policy Affecting Real Estate Development in the U.S.
Graham Squires is Associate Professor and Head of Property Group at Massey University, New Zealand. Erwin Heurkens is Assistant Professor of Urban Development Management at Delft University of Technology, the Netherlands. Richard Peiser is the Michael D. Spear Professor of Real Estate Development at the Harvard Graduate School of Design, USA.